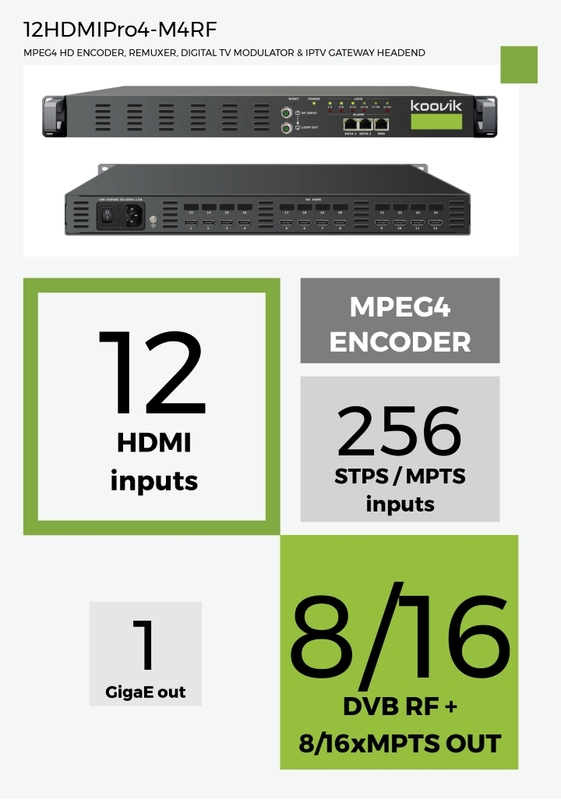 12 HDMI MPEG4 ENCODER inputs. 256 IP SPTS or MPTS inputs. MUXER. 8 DVB-T or 16 DVB-C RF MUXES output (select option). 8 or 16 MPTS output (mirror of RF MUXES). IP MPTS 8 MPTS (DVB-T version) or 16 MPTS (DVB-C version) over UDP or RTP/RTSP. Unicast or Multicast. network 1xGigaE 1000Base-T (DATA 1).